The Safe-Food Training Hub will provide convenient on-line access to quality food safety-related training courses. Global Food Safety Resource (GFSR) is pleased to announce its plan to launch the Safe-Food Training Hub, the world’s first and only global catalogue of industry-vetted food safety training courses available for purchase through its e-commerce platform. Starting in 2018 the Safe-Food Training Hub (SFTH) will operate as an on-line resource that aggregates and curates’ quality food safety-related training courses offered by universities, private training providers, NGOs and associations. It will make it convenient for food companies, their employees, and food professionals, at all levels of the food supply chain, to source and buy quality training courses through an aggregate platform. The Food Safety Modernization Act (FMSA), the Safe Food for Canadians Act (SFCA), and other international food authorities have recently made food safety legislation more rigorous. The Safe-Food Training Hub will help food companies meet compliance by making it significantly easier to deliver up-to-date training quickly, consistently, and cost-effectively. Brillinger says she is delighted that Victor Muliyil has been brought in as a consultant on this project. A highly respected expert in many facets of the food safety world, with a particular passion in the area of training, Muliyil has worked for 22 years with SGS, the world’s leading certification body. He is the creator of the Food Safety Program Optimization Training Initiative, and his training courses will be available through the Safe-Food Training Hub. “I am happy to contribute to the SFTH in creating a credible resource for the food industry to source training courses and services that meet consistent standards of competence and quality,” Muliyil says. Brillinger notes that GFSR is setting up a Trusted Vendor Program for the Safe-Food Training Hub. “We are establishing quality training standards to review our vendors’ training courses to ensure course content and materials meet rigorous standards of excellence and effectiveness,” she says. In addition to being able to filter courses through certain attributes including job competency and language, users will have access to other resources like tool kits, manuals, videos and audit checklists. “Our platform has been carefully mapped out to ensure it meets the food industry’s needs; above all it will be user-friendly and easy to navigate like other training platforms such as Lynda.com” says Brillinger. Leveraging its existing platform and networks, Global Food Safety Resource will host the Safe-Food Training Hub platform directly on its existing website to complement the food safety resources stakeholders have come to rely on. 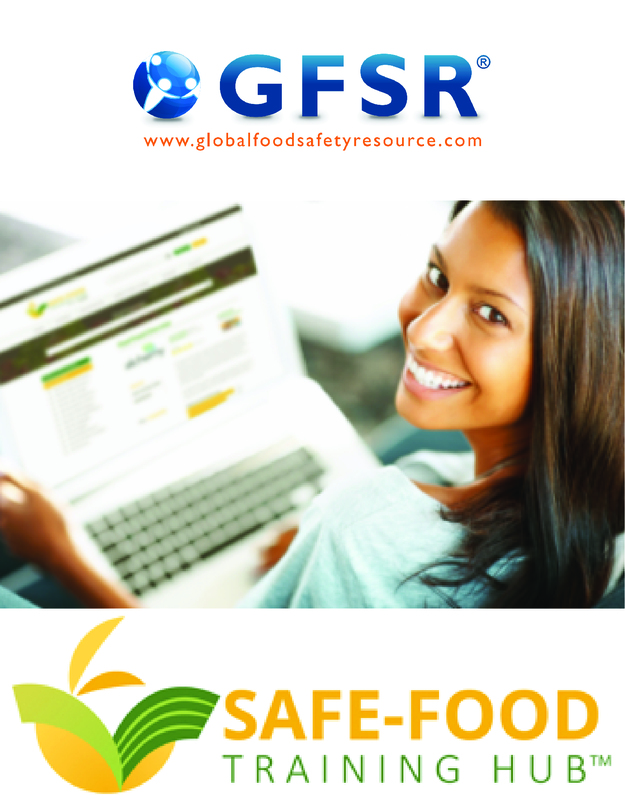 GFSR was the first information hub to centralize key industry resources on-line through original multi-media content, and it has been communicating best practices in food safety and compliance to food professionals in 60 languages since 2010. Brillinger has brought in top digital media and social media strategists to ensure massive exposure for the Safe-Food Training Hub, and all information will be available in a mobile-responsive format. With the launch of its Safe-Food Training Hub division, GFSR is confirming its leadership in the promotion of food safety, and extending it into the crucial area of training. Subscribe to Global Food Safety Resource to hear more about the SFTH in the months ahead.